Wayne Farms is a leading and innovative supplier of poultry in the foodservice industry. If you have eaten a poultry dish in a restaurant, it is likely to have been produced by Wayne Farms. 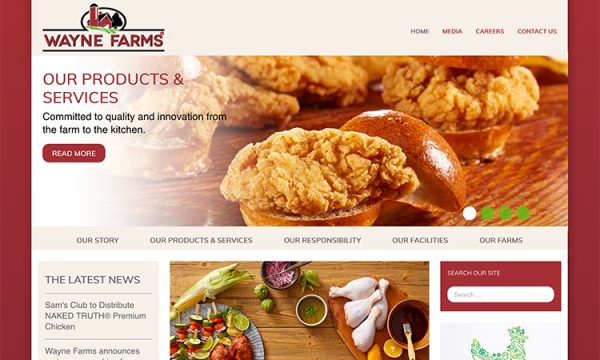 After developing Wayne Farms' Chef's Craft brand site, 3by400 assisted in the re-branding of their primary site.